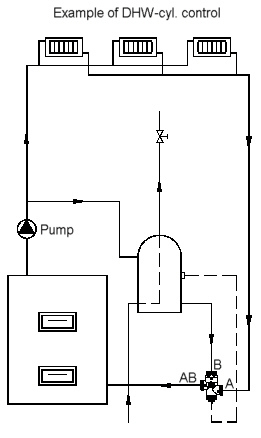 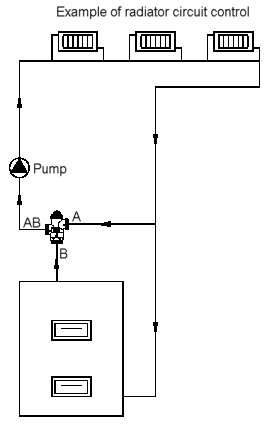 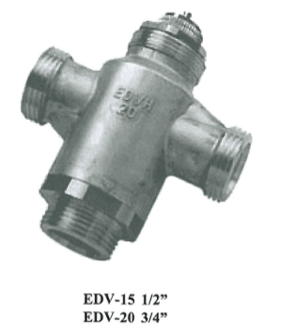 The EDVH is a twin seat valve with an intermediate cone of EPDM rubber that closes flow to both gates at the end position and directs flow as required. This valve can be used with any of the Macon electric or non electric thermostats. 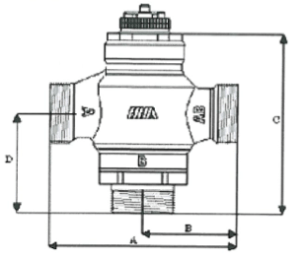 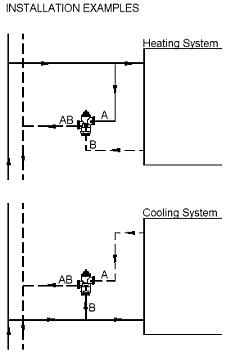 The EDVH three-way valve is used to mix and distribute the flow to heating and cooling systems such as air conditioning, water heaters, cooling ceilings, floor heating, cold-storage rooms, and refrigerated display cases.